Ashleigh Allsopp sits down with the Adobe VP to talk about the move to the subscription-only Creative Cloud, security, piracy, hardware ventures, future updates and more. We sit down with the Adobe VP to talk about the move to the subscription-only Creative Cloud, security, piracy, hardware ventures, future updates and more. 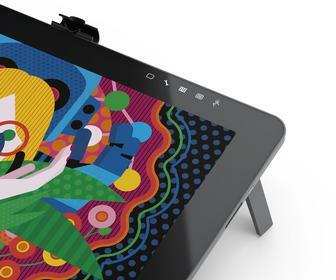 Adobe has used its MAX conference to update its creative software suite and make it subscription-only, and show off some of its early ideas for hardware, which include Project Mighty and Project Napoleon - a digital pen and ruler for iOS devices. Following the announcements, we sat down with senior vice president and general manager of digital media at Adobe, David Wadhwani, to talk about the Creative Cloud, pricing models, security in the cloud, piracy, hardware ventures, future updates and more. AA: Many people we've spoken to following the announcement that the new updates will be available subscription-only are concerned about the price of the Creative Cloud. Does Adobe have any plans to make Creative Cloud cheaper? DW: "What's really important to me is that we don't limit who has access to this great technology. Because I do believe we're starting to see a significant change in terms of interest and impact on individuals participating in the creative process. I feel very deeply that what we want to do is start to get this technology in the hands of as many people as we can. "The way we do that isn't necessarily to take what we're selling now and make it cheaper and cheaper because I think there is an inherent value that what we're creating gives creatives some of the new value we want. However, I think that there are decided opportunities that we can take some of the technology that we have now and surface them in different ways that are more affordable and more approachable to a broader set of customers. And so if you're asking: am I interested in leveraging this new platform and the flexibility it gives us? Then the answer is absolutely yes." AA: Will Adobe be introducing individual suites for different types of Creative Cloud users? DW: "We have to ground ourselves in terms of where we think the market is going to be a few years from now. Making specific suites again in terms of the Creative Cloud will add a lot of complexity to purchasing decisions. "What I've seen more of in the industry is that creatives are no longer bound by the silos like they were in the past. If you look at where the industry was a few years ago, someone might say 'I'm a photographer' or 'I'm a graphic designer' or 'I'm a videographer'. "What we're starting to see is more and more of our photography user base get into video, and more graphic designers wanting to learn about web. So as that happens, I fully expect to see more usage of our tools across all of the different elements. "If you look at Creative Cloud today, it has by far the highest satisfaction rating. All of our tools have fairly high customer satisfaction ratings, Photoshop being the highest. But if you look at Creative Cloud it is now the highest – it's even higher than Photoshop." AA: Why do you think that is? DW: "There are two reasons for that. One is that the customers are saying I love the fact that we get innovation on a regular basis, and I don't have to wait for it. The second one is that I never gave myself permission to use this other product, but now that it's part of the subscription and I have everything, I'm experimenting a lot, and my skills are developing because of that." AA: Should we be worried about the security of the cloud? DW: "Remember that, with Creative Cloud, the applications still run locally on your desktop, but certainly security we take very seriously. We really understand the idea of hosting customer information – we have a number of practices that we put in place to help ensure that our systems are secure and our customer data is always protected." AA: How will Adobe be updating the applications in Creative Cloud going forward? DW: "We'll be releasing updates as soon as the features are ready, so you can expect to see features rolled out. We will put on our blog posts and social media networks when new updates come out. "That said, I do believe very strongly that there will also be aggregating points, whether that's once a year at MAX or maybe once a year at MAX and another point in between where we tie it all together and help tell a complete story. That way, customers can really take the time to learn and understand the full story. "The idea is that features will come out when they're ready so we get them in our customers hands quickly, but we will have these aggregating points. "This is a big culture shift for the company. Historically, what we've focused on is every 18 months or 24 months we would surprise everyone with new features in our products. "Our primary focus as a company is going to be more and more and more focused on cloud-based delivery and cloud-based value." AA: Can you tell us more about your decision to venture into hardware? DW: "I think that the big story with the announcement around Project Mighty is that we're no longer thinking of ourselves as a company that just provides tools to our customers – we're not limiting our thinking that way. What we're basically saying is that our platform that we're going to bring is much broader and wherever in that whole effort, our customers are having problems, we will go and look for ways to adjust those problems. "So, in the context of Project Mighty, we think that tablet devices - touch devices in general - have really been a remarkable success. We think that the software on them is getting better and better every day. We think that the cloud offers a lot of real advantages to creatives, but we don't see anyone today solving their problems. "So, I think with the new view we have of the creative market and the new role we can play in the industry means that we're saying that if no one else is solving that problem, then we're willing to do that for our customers. "We're looking at the world very differently than we've looked at the world before. In the past we would look at the world and say: “How can we add new features to our tools that will help creatives?” Now, we're looking at the world and saying lets forget any limitations, lets find any way we can to help creatives. "We're not waiting for the world to move. We're going to move and if the world can move with us we will help, and if not, we're going to do whatever it takes to solve the needs of our creative customers. AA: Would you be open to partnering with other hardware manufacturers in the future? DW: "We haven't announced how we're bringing this to market yet. 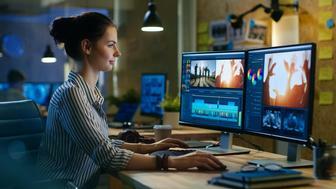 What we showed you on stage is 100 per cent Adobe, but we would welcome partnerships with any hardware manufacturer that's interested in incorporating some of those technologies. "We're trying to solve the problem for the creative community. So if any of the hardware companies are interested in doing that then we thing it's a great thing for Adobe to partner with them. If no hardware companies are interested in doing that, we'll find a way to do that. AA: Will Adobe allow its hardware to be used with third-party apps? DW: "What guides our decisions is: what do the creatives need? And I think it would be a requirement for the pen to work in other areas too. So there are some things that are very generic like pressure sensitivity and stroke detection and things like that, so any other software application should be able to leverage that. And we would be very supportive of that. "It would be unmanageable for a creative to say well I can only use this stylus with Adobe apps and I need to get another stylus for everything else. We absolutely want to be as open as possible." AA: What are your thoughts about piracy of Adobe software? DW: "We believe that the way you combat software piracy is that you make the right software for the right people and you make it affordable. One of the things that we've seen by moving to the new model, is that people who never bought the software from Adobe – some of whom were pirating the software in the past, have now decided that they can afford it so are coming in. "I don't think that people who pirate our software do it because they're bad people, or because they like stealing things. I think they just made the decision that they couldn't afford it. And now, with the move to subscriptions, and with the ability to offer software at a much more affordable price, we're starting to say that continue to shift over, which we feel good about." "The second thing is that as you fast forward this evolution a bit more you're going to find that you'll see more connectedness. If we really believe that cloud and community and collaboration and access to your brushes across devices is the way creatives are going to work in a few years, that hybrid element of the apps and the cloud itself will start to combat some piracy, because you can't pirate features that are in the cloud." AA: Does Adobe have any plans to offer its Creative Cloud applications as an online version? DW: "We don't have any plans right now to make that the primary way they run. They will still be able to work offline. We have been experimenting with two different models to accomplish what you're saying, including streaming technologies and APIs for tablet apps, for example. "The focus of what we're trying to do is make sure you have access to the things you need, wherever you are. So you can expect to see a lot more in terms of our mobile ambitions, whether its streaming Photoshop to a tablet, or deconstructing Photoshop and putting it back together for a tablet device."